I have chosen this photo of a beautiful Christmas tree that looks to me as though it is in Heaven, to start off my hub. 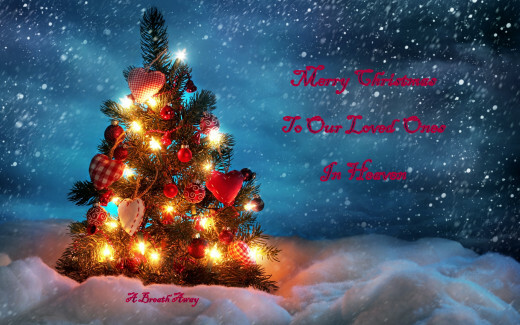 It is also fitting that I am wishing all of our loved ones in Heaven a Merry Christmas. I loved it and I felt good about putting this on my "A Breath Away" Facebook page - inspiration for others grieving the loss of a loved one during this Christmas Season. This was last night - The Night Before Christmas Eve and then it all unfolded for me in a different way. For some, this will not be your normal hub, one that talks about "how to", or shares a recipe, or rates a fine dining spot or a movie. I admit that I am a bit of a storyteller and that is what I seem to be most comfortable with. I didn't understand why, when I was growing up, I had to embellish details whenever repeating a happening to others, but now I know. It is just who I am and I have learned, hopefully, to embrace it. People who have read my book tell me two things. Firstly I write the way I speak and secondly, I write from my heart. I believe that to be true. It is all I know. But last night I went to bed and lay there talking out loud to my husband, Craig, who is in spirit. If you've read some of my other hubs you will know this already. I have been feeling rather blue lately and I guess this would not be abnormal, as this is probably the toughest season to be without our loved ones. This will be the fourth Christmas without Craig and the first without my mom, Adele. But what worried me was that I was beginning to feel as though I was losing my trust, my faith, to understand that Craig is still with me. This is foolish because I communicate telepathically with him all the time. That is another story that I won't go into here. Nevertheless I began to feel as though I was alone and I didn't like it, not one little bit. I continued to give Craig a very hard time, and then eventually I fell asleep. I awoke this morning early remembering that I had to get a move on to get down to my hairdressers. As I raised my blinds I realized that it had snowed a bit in the night, and indeed it was still coming down very gently. I grabbed my camera and walked out on to the front porch in my pajamas to take a photo of my ornamental crab apple tree that was just two days ago laden with ice, from the ice storm that hit our area. Now the ice had melted and the branches were covered with a coating of fluffy white snow. It felt magical. Dressing hurriedly I backed the car out of the garage, leaving in plenty of time for my 9AM appointment in case the roads were bad. Heading down one of the many escarpment roads in our area (in fact my favourite one, as well as Craig's) to the city below, I began to feel a little hope as I looked around at the beautysurrounding me. Then all of a sudden a song came on the radio "Where Are You Christmas" by Faith Hill. As I listened, my spirits began to pick up a little bit more. I began to realize that all I was experiencing was a little bit of a bump in the road of this journey that I am on. And I also began to feel that Craig was sending me a very important message, "Christmas is not lost - it is right here in my heart", and so is Craig. Half an hour later I am sitting with colour on my roots and highlights in foil - glasses on (I make quite a sight I am sure), looking at the latest People magazine, ignoring the book that I have brought with me to read. A lady sits down next to me and soon she asks me what book I am reading. I tell her it is Mitch Albom's latest book "The First Phone Call From Heaven". Then, of course because I have learned I have to network whenever I can, I tell her I have written my own book. She asks me what it is about, and I proceed to tell her that I have written about my husband who died three years ago from Cancer. Then, taking a deep breath, I tell her it is also about the Afterlife and all of the signs and messages I have received from him during that time. She started to cry immediately telling me that her own husband had passed away a year ago this month. As I am comforting her, I am beginning to realize the bigger picture here. I am not alone, there are many more like me in this situation. And of course there are many more sad stories out there, worse than ours. Unfortunately right at this point, my hairdresser arrives to wash my hair, so we are interrupted. I gave the lady my business card suggesting that we connect on Facebook, as I'm led over to the sinks. We just got started when the other lady's hairdresser came over and gave me her client's email address. And right at that moment I got the very clear idea/message that I should give this lady my book for Christmas. I know where that message is coming from! Excitedly I tell my hairdresser, and of course she thinks that's a wonderful idea. Now I am sitting, getting my hair dried. The other lady is now also at a station about to get her hair dried. I am concerned because she has short hair and I have long hair and I feel she will be gone before I can get to my car and back. My hairdresser says "do you want to go now? I can take you to the back door, it's shorter that way." "Yes", I say. Off we go in a conspiracy racing through the back hallways, me with half my haIr blown dry, the other half still wet and up in a clip, she waiting at the back door while I race to my car trunk, sans coat, and get a book and bookmark. Back in my chair I am given a pen with which to sign A Breath Away to Marg. 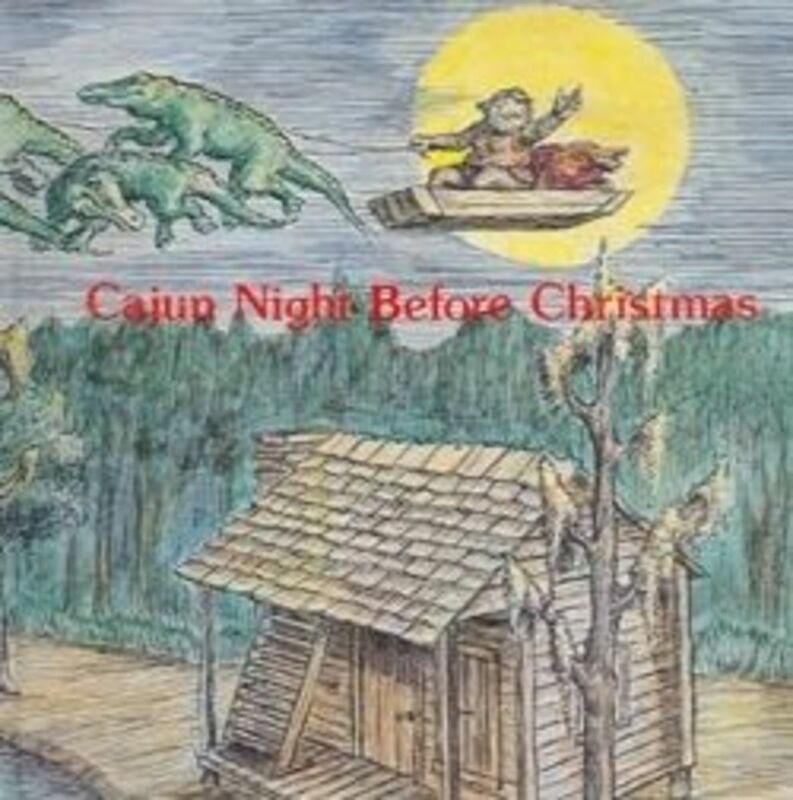 I got up, took it over to her and said "Merry Christmas - read it when you feel it is right for you." The look on her face was such a gift for me. I realized in that moment what this season is all about. It is about giving, and loving, and renewed faith. And I was happy. If I thought that was the end I was sorely mistaken. Back home I went to my computer. I checked email first and was surprised to see several messages from Hub pages. But what caught my eye immediately was one from Jackie Lynnley, telling me she was giving me a Hub Hug - the last of the 2013 season. I had no idea what she was talking about. I clicked on the link and up came her hub, and here she is talking about me. Not only that she is talking about several of my hubs with links to the various stories. I burst into tears immediately. I am not looking for sympathy here. I am just telling you genuinely how I felt in that moment. I could not believe it! My day had changed completely. It had started out with an inkling, looking at the freshly fallen snow. It had been tweaked with Faith Hill's song "Where Are You Christmas". It had smiled at me with Marg's smile when I gifted her with my book and It had wrapped me in a great big gigantic hug with Jackie Lynnley's tribute to me - that last hub hug of 2013. I realize that my world is OK, Craig is still here, and so is my mom and other members of my loved ones who are living in the Afterlife now. The Universe is in perfect synchronization. How could I not believe this with the day I have just had. Peace and Blessing to all of you out there, as well as Health and Happiness for 2014. And thank you Jackie. You are very welcome, for all I said to you was the truth. You are a very talented writer and if you keep it up, big things could come your way. And I DID enjoy the "Where are you, Christmas?" hub for it touched my heart--deeply. Haven't had these feelings since I was a child. Thank you. Yes, Hamilton, Ala., and Hamilton, Ontario. Wow! Yes, thank you so much for looking at my hubs--I really appreciate it. This is an excellent piece of writing. Amazing, to be quite frank with you. I loved every word--and the lay-out was superb. Interesting, in-depth, helpful, and very informative. Great job. You have such a gift for writing. Just keep writing and never quit no matter what. Hi Lynda, this hub was a pleasure to read, you are truly deserving of this Hug tribute from Jackie. I'm looking forward to reading more of your work, including your book. I hope you had a wonderful Christmas and I wish you all the best in the New Year. I am certainly not taking credit for anything because you are truly a hug dream come true (lol) meaning one who wants to be hugged and luckily I haven't had but one, maybe two, who didn't. I think this shows us that giving is always the answer and what better season to find that out? It sure doesn't mean dollar value either. You had your gift waiting from me and the lady in the chair did by you. I rushed in the wee hours to get yours done, because the deadline is not until Friday but I just got the same feeling as you did about getting the lady one of your books. I didn't know if you would be away this holiday or what but it just seemed important to have the hug ready for Christmas. We are never going to have all the answers Lynda, but we need to always trust Him to handle it all; and just give from the heart as He gives to us. Sure glad you liked it. A very sweet hub. The Lord knew how to brighten up your day. A one point it sounded like you were arguing(giving him a hard time) with your husband's spirit. Did I read it the right way? Nothing wrong with it, if it helps. I only point it out cause it just surprised me. But you seem to be full of surprises and you write so well.